What a wonderful way to let someone know you care. This basket arrives overflowing with a variety of delicious treats. Hand dipped chocolates, caramel pretzels, cashew brittle, english toffee, caramel popcorn, french vanilla cappuccino mix, cinnamon bun soy candle and a whole lot of bonus points with that someone special in your life. This sensational gift basket for the bride and groom arrives overflowing with a variety of romantic items. 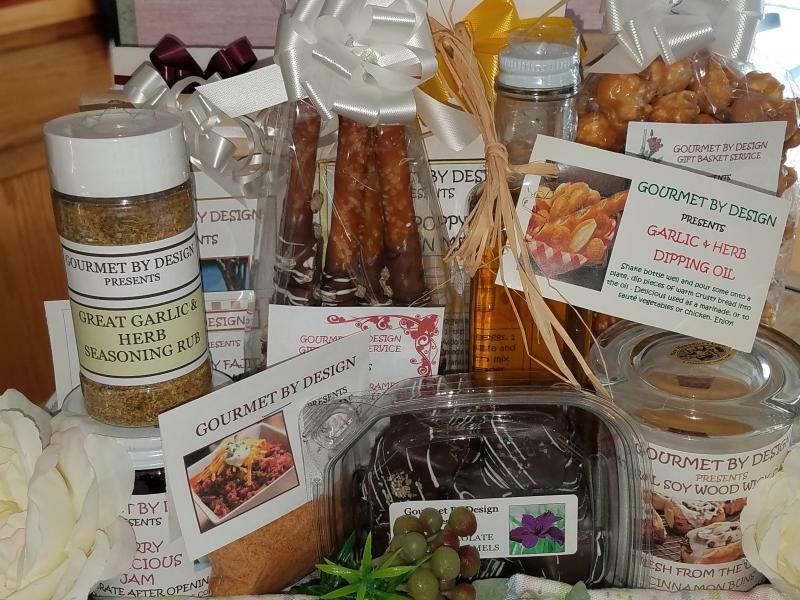 Includes scented candles, champagne with crystal flutes, assorted hand dipped truffles, english toffee, cappuccino, baking mixes, strawberry banana jam and so much more. What a wonderful surprize to greet them when they arrive home from their honeymoon. This basket is truly one of a kind. What better way to show your new clients , loyal customers , or dedicated employees your sincerest appreciation. A basket loaded with with all the favorites. 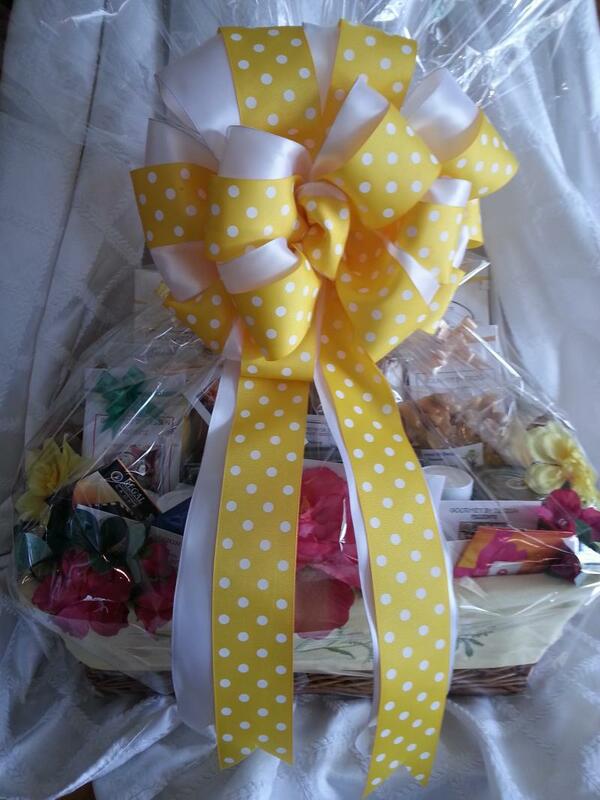 Birthday, anniversary, thank you, or any special occasion, this basket has something to celebrate them all. Jams, dry rubs, spice mixes, cappuccino and cocoa mixes. chocolate caramel pretzels and assorted truffles. Guaranteed to bring a smile. Specializing in making life's occasions, memorable events.